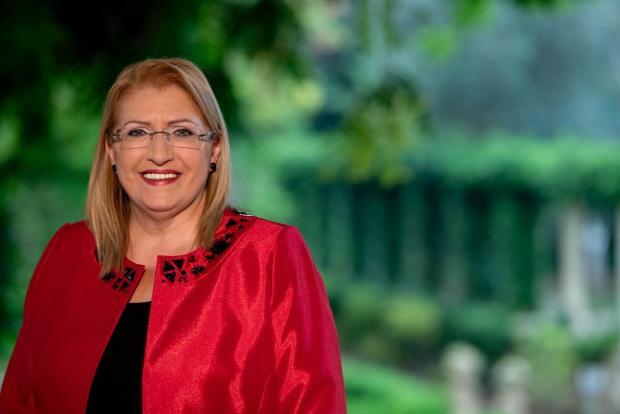 Former President Marie-Louise Coleiro Preca has been elected to head Eurochild, a Brussels-based children’s rights advocacy network with 176 members in 34 countries. Eurochild is an advocacy network of organisations working with and for children throughout Europe, striving for a society that respects the rights of children. Bringing expertise from its membership, the network influences policies, builds internal capacities, facilitates mutual learning and exchanges practice and research to support the children’s rights sector. Ahead of the next month’s European Elections, Eurochild is campaigning for a European Parliament that stands for children with the Vote for Children campaign. Ms Coleiro Preca said she was honoured to take on the role, as uring her time as both Family and Social Solidarity Minister and as President of Malta, child participation was always at the centre of her endeavours. “I would like to use my time as president of this prestigious organisation to ensure that child participation really takes off on a pan-European level, bringing greater attention to the voice of children. I believe Europe can play a leading role globally here too,” she said. In 2014, Ms Coleiro Preca had set up the President’s Foundation for the Wellbeing of Society — now the Malta Foundation for the Wellbeing of Society — where an intensified focus on child participation also led to the establishment of the Children’s Hub, the President’s Secret Garden and the Children’s Council and the Young Person’s Council. “I am delighted to see Eurochild adopting a similar model… Working with member states of the European Union and of the Council of Europe, together with their respective parliamentary delegations, Eurochild can bring children’s rights into the core of parliaments across the European region.